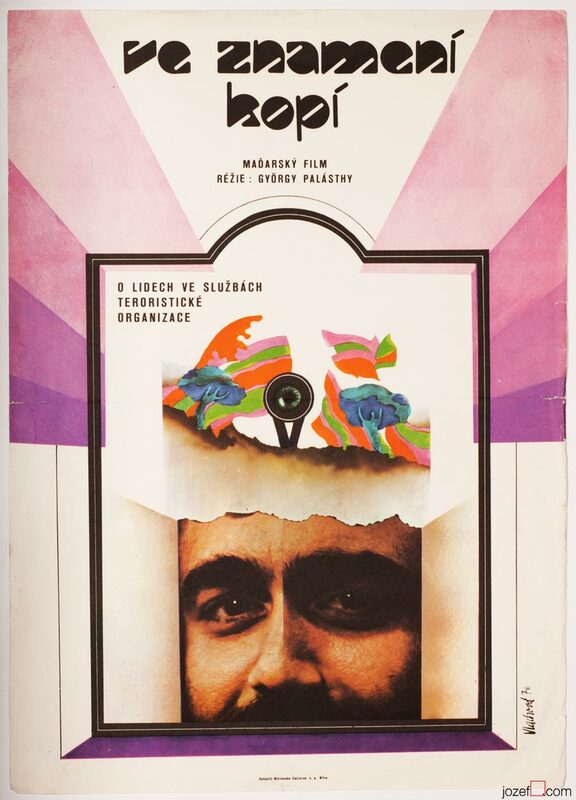 Movie poster for Hungarian sport comedy with humorous illustration by Renáta Vlachová. 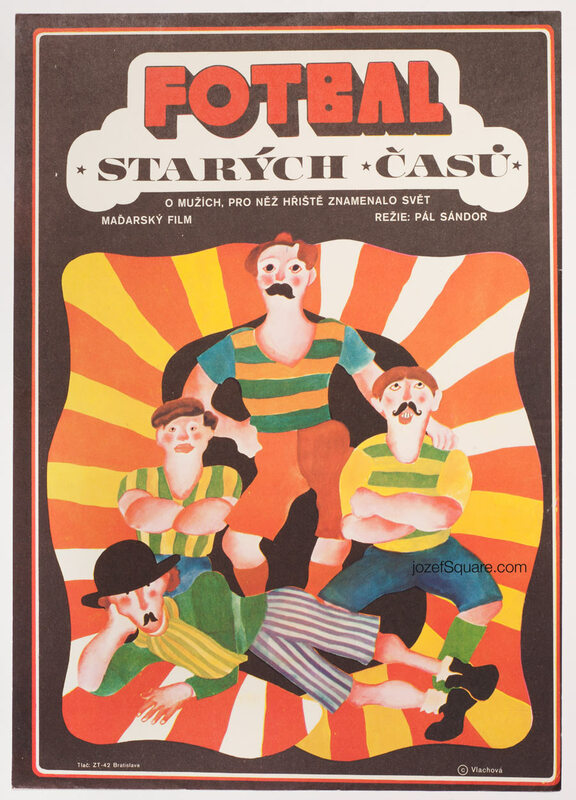 Magical movie poster illustration for 70s football comedy. Poster is folded in the middle. Slight crease with few small cracks on edges. Gentle folds and small pinholes in corners. Several soft scratch marks over the surface. 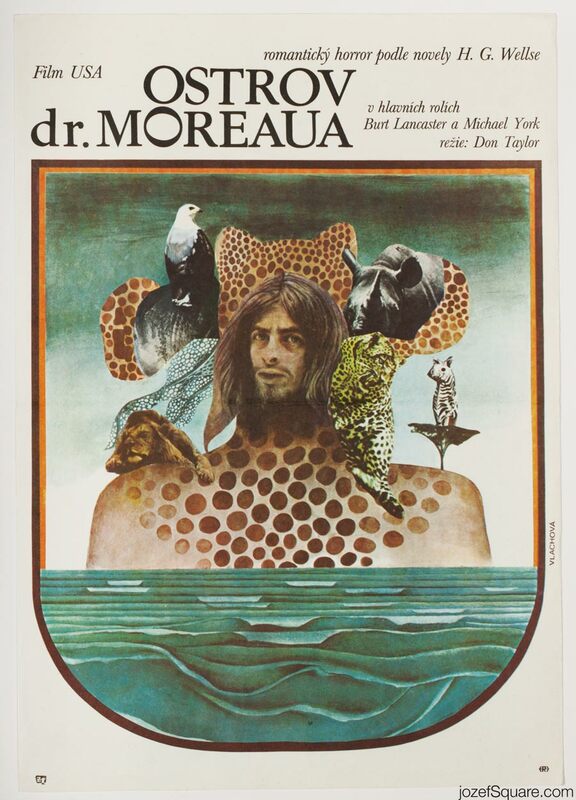 Movie poster is in A3 format (41.3 x 29 cm). Very nice condition (NOT PHOTOGRAPHED, PLEASE ASK IF YOU WISH TO SEE A PHOTO). 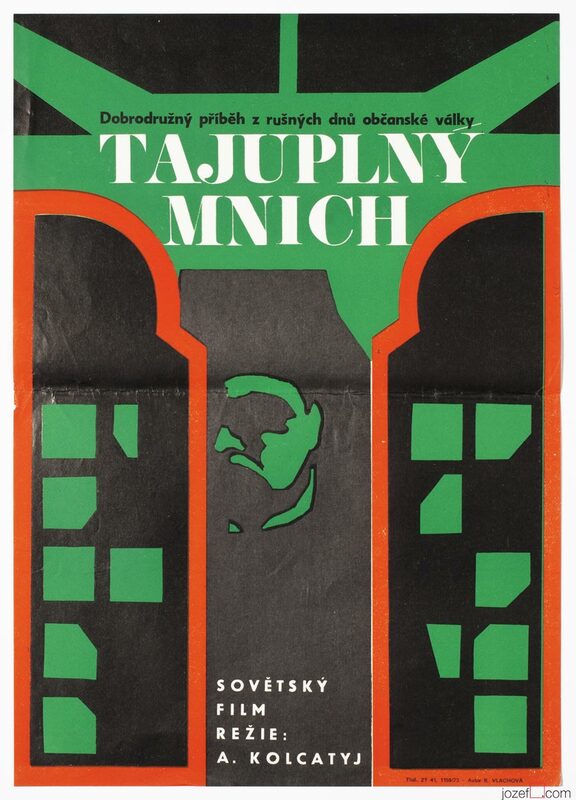 70s posters designed in Czechoslovakia. 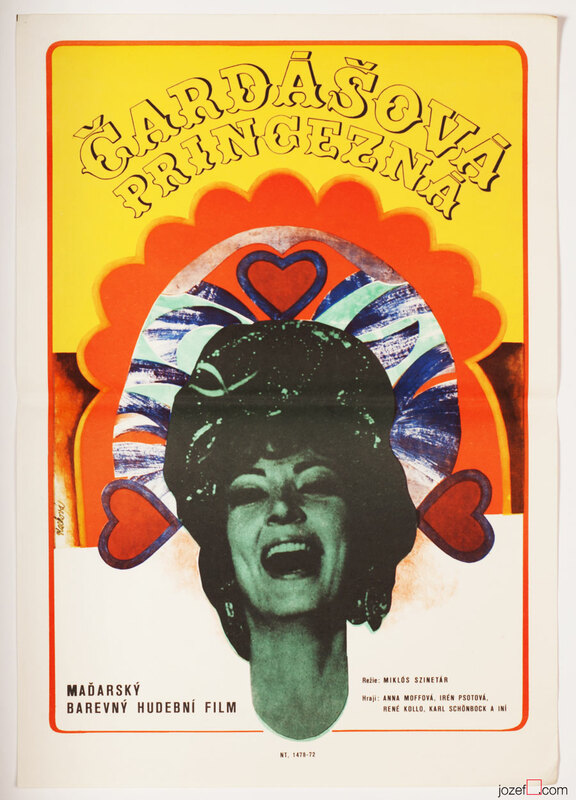 Be the first to review “Movie Poster – Football of the Good Old Days, Renáta Vlachová, 1973” Click here to cancel reply.